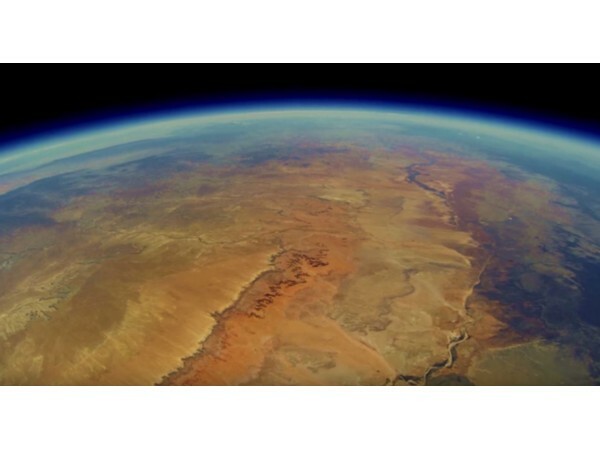 In June 2014, 5 friends made the decision to go out into the Arizona desert and record footage of outer space with a GoPro recorder attached to a weather balloon. They launched it into the sky, and for 2 long years they didn’t hear from it: until it finally returned, with impeccable, citizen recorded shots of Earth from outer space. 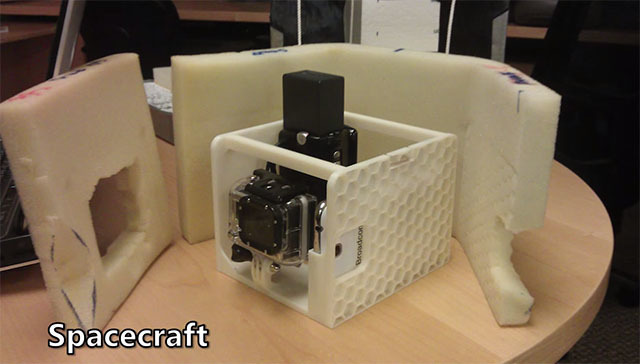 Some college students and their peers received permission from the US FAA to launch a balloon with a GoPro Hero2 Sony camcorder and Samsung Galaxy Note II smartphone, with the phone taking photos and the two cameras recording video footage. Ashish Goel, Bryan Chan, Ved Chirayath, Tyler Reid and Paul Tarantino decided to launch the weather balloon a few miles from Tuba City, Arizona far out in the desert, and this is the video they eventually produced. The group’s original plan was to track the motion of their balloon through GPS on a smartphone. The plan was ditched after they lost contact with the device’s location, being out of range of a cell phone tower. Miraculously, two years later a hiker out in rural Arizona had come across a strange box. This strange box had the group’s names written on it, roughly 50 miles from the original launch site of the balloon. In the end, they got an amazing shot of the Grand Canyon from the stratosphere, probably one of the only known citizen-recorded shots of the area from outer space. This video is one of the best amteur of our planet from orbit.Although there is room for conspiracy theorizing given the group was given permission by a federal agency (I don’t know how common or rare it is to receive such a license to record), this should be some pretty compelling evidence for a round earth, for any flat-earthers out there. So yeah its still not flat and will stay like that for a long long time.